Covering Jen and Lewis’s wedding was a real privilege as a wedding videographer. Pendrell Hall in Codsall, Staffordshire was the chosen venue for the celebration. Such a charming place, it’s refreshing to come back to Pendrell Hall, you couldn’t ask for a more extraordinary venue to get married at. Jen and Lewis are very fortunate to have their wedding shot in such a fabulous venue. Jen and her bridesmaids began getting ready for her wedding at Pendrell Hall so I went along to begin shooting her story. I captured every detail of the developing story as the bridal party finished doing their hair and makeup. Jen and Lewis exchanged rings and said their vows in the beautiful morning room at Pendrell Hall. The reception was held at Pendrell Hall, it was decorated beautifully and was the perfect spot for the newlyweds to welcome their guests. All the guests were cheerful and you could feel the joyful atmosphere at the reception. I mingled around the wedding party capturing the guests candidly whilst they enjoyed their drinks. Everyone love a good Summer wedding, and I’m no exception. It was a lovely sunny day, which can make a big difference on the day, and meant we could all spend some time outdoors. Once the wedding reception was over it was time to listen to the speeches. Every speech is unique and I never get bored of capturing them. Weddings like Jennifer and Lewis’s make my job as a wedding videographer a pleasure and I just know they will build an amazing life together. If you’re looking for a Staffordshire wedding videographer to capture your Pendrell Hall wedding just get in touch via my contact page – I’d love to be a part of your special day. If you’d like to see the wedding videography prices and packages that I offer just click here to head over to the prices page.  Follow Vision Wave Weddings on Facebook for the latest sneak peeks and highlight videos.